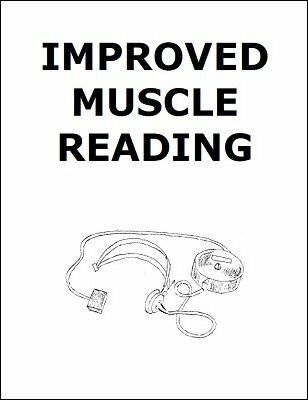 The general effect and principle of Muscle Reading is that a person merely thinks of any object and you take hold of his wrist or hand and lead him to the article he is thinking of. In this improved method, we have overcome several obstacles to insure picking out the right subjects so you cannot fail. As anyone giving public performances wishes to be sure he will be able to accomplish what he starts out to do, this is a big asset. We also have found a good reason for holding the subject's wrist, and last but not least have a practical apparent non-contact method. This throws the audience off the track.